Editor's Note: This post was originally published on November 6, 2014. Housecall continues to share this piece due to ongoing requests and reader interest. Great article Kyle! 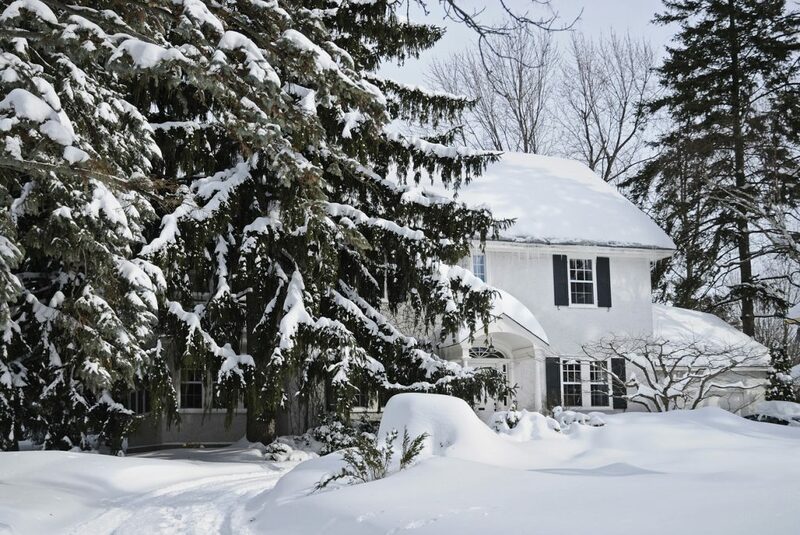 Very compelling points on why it can makes sense to sell your home in the winter months. In Denver, homes generally have sold for more in the Spring than similar homes sold the previous Fall or December. That’s been true for last 4 years. Of course a Seller may still opt to sell now for reasons of their own. Proficient Realtors should know the patterns in their own market and explain it accordingly. That’s adding real value and not just saying what might result in a quicker commission. Thanks Andrew, appreciate the compliments! Sometimes it can make sense to sell now instead of waiting until spring. Larry, thanks for your comment! It’s very likely homes will sell for more money in the spring, but for some, now maybe a better time to buy. This is especially true if the seller is planning on buying another home. Excellent article Kyle. I agree with all of your points and believe there are different reasons for having a house on the market for sale during the colder months. Especially when the house is well staged … we are only looking for one buyer right? They are out there — the serious ones … and we need to be there so they can come and buy!!! Great article Kyle, every house will sell it just needs the right buyer! This is true Arthur! Thanks for reading! Excellent article Kyle. I agree with your points and I believe there are different reasons for having a house on the market for sale during the colder months. After all we are only looking for one buyer? Frank that is completely right! The spring time can tend to attract less serious buyers than this time of the year, which can save sellers lots of time and frustration! Thank you Kyle, well said! I would additionally submit that there are people that may be wanting to push to do a contract during the calendar year for tax purposes & it helps to think about the average days on market in your community. Long story short, choose a great REALTOR & price at a market demand price and you will find that one buyer! Chris you are on-point with your comment. Pricing it right and having a great REALTOR are two of the most important things to get right when selling a home! Excellent Post and thanx for sharing us. Very informative. Keeping the leaves raked and the home cleaned up on the outside will give your house great curb appeal! This doesn’t mean you have to rake up every leaf that falls, as a few colorful leaves can add interest to your home’s exterior! Glad you found us, and thanks for reading! We’re on Twitter too – @housecallblog! Would love to connect! Kyle – I Loved this Article – it was laid out so well, covering all the points a Seller should consider. Same as your Market there apparently – and I’ve read through the comments – our market is year round. We get transferees dependent on the Corporate atmosphere- and in Automotive – like with VW – we will be having a large number of sales around here as people (suppliers – for VW) unfortunately will be laid off. Launching one soon on why you should not wait until spring to sell! This will be an excellent reference! Real estate markets are clearly cyclical throughout the year but how much they change is often tied to the local market area. The kind of market that exists at the time can also have a bearing on whether or not a specific time of the year is a good time to list. in your article. I feel I did answer them but will follow up during our meeting today with many of your points. I love the idea of including subtle aromas that reflect the holiday season when staging the house to sell. Having an inviting smell will help the house feel cozier and more inviting and could also help potential buyers see it more as a home. I would recommend making sure it’s subtle, though, because overwhelming smells could leave people with a headache! Some good points in this article and pretty timeless as well. Many clients ask about what time of year is best. Being in the Rocky Mtns, some clients are always worried about pictures with snow in them. We tell them that the fall and winter seasons are often a great time to sell a home. I loved this article! I will say though that in my market, we see a drastic decrease in buyers during the winter. But … I do live in Alaska. It’s hard for sellers to dig everything out of the snow in the winter, especially if they’ve accumulated a lot of outside “junk”. It’s also hard for buyers to see what they’re getting underneath deep snow. Land sales for us take a big hit in winter. But I do realize our market is not typical and think these are great points to share with sellers and try to keep the market moving. You shared a great article on the whys and why nots. Right now interest changes are upward moving and no time better than now for Buyers to buy. Also if rates go up prices will have to reflect who can purchase. I say take advantage now! Additionally, in my market there are PROs out there who are looking for rehab work and generally have lower prices than during peak times. Seller can save some money on those “eyesores” that will affect price. there is sure to be less competition in the spring! Thanks for sharing this information. This is really helpful. Great blog by the way!